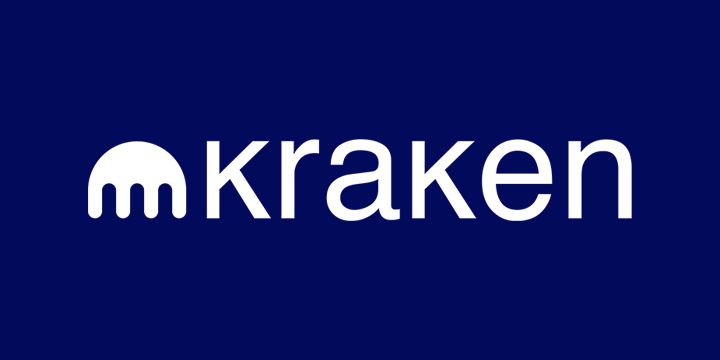 Kraken describes itself as the ‘largest Bitcoin exchange in euro volume and liquidity’. The exchange was founded in July 2011 by Jesse Powell, who holds a bachelor’s degree in philosophy from California State University, Sacramento. The exchange is headquartered in San Francisco, and serves users from the entire of North America—with the exception of New York because of the BitLicense—Europe and Japan. Anyone around the world can easily use its entry level services, such as price charts and statistics. As of January 2017 the cyrptocurrency platform was the world’s 2nd largest in terms of volume. Kraken has gone through three funding rounds and raised $6.5 million in capital from 13 investors, including Money Partners Group, Blockchain Capital and Digital Currency Group. The company has also completed five acquisitions, including crypto market visualization platform Cryptowatch, Bitcoin exchange Coinsetter and Dutch exchange Clevercoin. Following the bankruptcy of Mt. Gox, the trustees of the receivership picked Kraken as the platform through which claimants could apply to revive lost funds. Fiat currencies supported on the exchange include euros, Japanese yen, US dollars, Canadian dollars and British pounds. Fiat deposits and withdrawals are completed through SEPA, Swift, and bank wires. US users can deposit and withdraw through bank wire service, which costs $5. Bank wire transfers from outside of the US cost US$10, €10 or £10. If you are in Canada, you can deposit or withdraw Canadian dollars (CAD) through bank wire at no cost. Users in the European Economic Area can deposit and withdraw using free SEPA wire transfer. Meanwhile, Japanese users can deposit and withdraw any amount below ¥5,000 through bank deposits free of charge. Kraken released a mobile app for iPhone in September 2014. However, reception has never been good. While users praise the smoothness of the mobile version of the website, they complain that the app is full of bugs and rarely works. The app has a rating below 3 in Apple App Store. As for the website, most beginners prefer to avoid Kraken because the website layout can be slightly confusing. However, most advanced users don’t seem to complain about the interface. Kraken’s interface is not optimised for beginners. Kraken offer the lowest fees compared to all other major exchanges. For example – when I withdraw Euros through SEPA bank transfer I’m only charged 0.09€ by Kraken. That’s pretty amazing compared to the hefty 10€ average fee that corporate banking institutions charge their clients. Good job to these guys! Fees depend on the tier in which your account belongs. The higher the tier and the amounts involved, the lower the fees you pay. Fees are calculated as percentages of trade volumes, and they range between 0% and 0.26%. Both the buyer and the seller are charged fees, with a buyer in a trade paying more than a seller. The fee amount also depends on the currencies involved. A pairing of cryptocurrencies incurs lower fees than one that exchanges fiat with cryptocurrency. In addition to percentage-based fees, users pay a flat processing fee of $60 per page for paper copies of communications. Signing up for an account on Kraken is similar to creating an account on most online platforms. As described below, the exchange has included extra features on the signup page to secure and protect user accounts. The platform also meets Know Your Customer (KYC) and Anti-Money Laundering (AML) requirements from US regulators. The first step when signing up is to input your email address and create a password that is at least eight characters long and includes letters, numbers and special characters. You also have the option to share a PGP (Pretty Good Privacy) public key that the platform can use for added security when sending you emails. You are also prompted to create a master key that gives your account a second layer of security that includes two-factor (2FA) login protection. This is especially useful when changing passwords or switching devices. The master key can be a password, a Yubikey password or public/private key pair, or Google authentication. You will need to store your master key separate from your other login credentials. The second step in signing up is to activate your account. You’ll receive an email with an activation key that you then copy and paste into a second form. With this done, you gain access to your account. The entire process takes between five and ten minutes and is largely smooth and easy to follow. While Kraken has never had a major security incident like those experienced at Mt. Gox or Bitfinex, in July 2016 several users reported having their accounts hacked and funds stolen. Kraken later reported, however, that almost all the users affected failed to use two-factor login protection. While Kraken provides users with public addresses for depositing cryptos to accounts, it holds the private keys to those public addresses. Therefore, as a user you have to trust their honesty and capacity to keep your cryptos safe. Kraken exchange offers five types of accounts (aka – “tiers”). Immediately after you sign up, you get a tier 0 account. What differentiates the different levels is primarily the daily and monthly limits on fiat and cryptocurrency deposits and withdrawals. The different tiers also expose you to different fee structures. The higher the account tier, the lower the fees you pay per trade. I actually found that upgrading to a different level was far easier than I had initially thought. The tier 0 account allows neither deposits nor withdrawals of fiat or crypto funds. Therefore you can do little with a tier zero account except access price statistics and trading charts. To really get the feel of Kraken, you need to upgrade to tier 1 account. With a tier 1 account, you can deposit and withdraw cryptos. There are no daily or monthly limits to how much you can deposit. However, you can only withdraw less than $2,500 worth per day and $20,000 per month. The account allows trading between different cryptocurrencies, but not between cryptos and fiat currencies. To qualify for a tier one, you need to update your profile with your full name, your date of birth, country of residence and telephone number. You may have to wait from one to three days after providing these details to be verified as a tier 1 account. The waiting period can be longer for people outside North America, Europe and Japan. When you get a tier 2 account, you are eligible to deposit fiat currency up to $2,000 daily and $10,000 a month. You can also withdraw $2,000 in fiat daily and $10,000 per month. The amount of cryptocurrencies you can withdraw increases from $2,500 per day to $5,000. The monthly limits go from $20,000 to $50,000. To qualify for tier 2, you need to share your postal address with the exchange. Just like the previous tier, you may have to wait for several days for approval. I just love the sizeable volumes that this verification level enables – perfect for a serious trader. Indeed tier 3 affords you a daily limit in fiat deposit of $25,000 and a monthly limit of $200,000. The withdrawal limit for fiat currency increases to $25,000 and $200,000 monthly. The amount of cryptos you are allowed to deposit daily rises to $50,000 and monthly to $200,000. To qualify for a tier 3 account, you need to provide a government-issued ID and verify proof of residence by providing a copy of a utility bill no more than three months old. US citizens must provide a social security number. This level is reserved for corporate entities or for individuals trading at high volumes. I’ll be honest – I haven’t reached this tier yet and probably never will. Nevertheless, accounts in tier 4 can deposit daily amounts of up to $100,000 in fiat currency and $500,000 monthly. Withdrawal limits for both fiat and cryptos are $100,000 daily and $500,000 monthly. To get a tier 4 account, you need to contact support. Bittrex – largest crypto exchange. Recently overtook Poloniex in terms of monthly traffic. Have you ever used Kraken? How was your experience & what would you add to this Kraken review? Let me know in the comments below. Just a quick question.. I installed the app of Kraken and to upload a wallet they asked me to install another app: Bituniverse.. This is a normal procedure? Hi Jamie, no you shouldn’t need to download a second app when trying to get the kraken one. Hi everybody, I am new here, just wanted to know about kraken.com. There is a lady she is suggesting me to invest in btc Mining. Let me know whether it is genuine or a scam. Seems like Kraken is disappeared with users money! more than 36 hours down time without any explanation. What do you suggest? Another scam ahead?? I’m updating as soon as we hear news. Please keep a lookout for updates at the top of this article. Being a citizen of EU country have set an account for trading in beginning of December 2017 but still can not start the verification process in order to deposit fiat currency. The standard message I get is “Feature in unavailable”. After contacting customer support (provide via emails only) I have received an answer that Kraken is indeed experiencing the verification problems for random users. However no time frames given when these issues could be resolved. Just the same standard auto-reply type of messages. Thanks for your kraken review all the same i enjoyed reading! I have a kraken account with dual authentication into which I deposited .5 bitcoin and purchased 10,000 rpx. After much delay in signing to my account I discovered all my rpx had been sold and all the funds transferred out to a destination unknown to me. No help from customer support. Long and short of it is I have lost about $1,500 that should have appreciated to $20,000 plus. I would suggest that great caution is in order using Kraken. You have only mentioned the bank wire fees for Kraken. Most US banks will charge $15 for incoming and $30 for outgoing domestic wire transfers. This adds to the cost each time exchanging with fiat currencies. They posted this 2 days ago. Any feedback from current users? Nicely spotted! Personally, I have noticed less cloudflare timeout pages, which is a welcome improvement. The 502 error code instantly. Please fix this bshit. Kraken is still (among) the cheapest. This without a doubt the worst website in the world. I have been trying to set up an account on tier 3 and all I keep getting after loading my ID is a 502 error code. Yes, please read my warning message at the top of this Kraken review. The UI is nearly unusable at this point and therefore I would recommend that users avoid depositing. When you say “Kraken has been experiencing severe and persistent UI/trading-engine issues. I highly recommend users avoid depositing for the time being.” Are you referring to fiat and crypto currency or just fiat? Thanks! So they make it possible for their clients to make these kind of mistakes but they are not willing to recover any funds. When I made the mistake it was a $ 3500,- mistake. Now it is a $ 12,000 mistake and they don’t have the ‘resources’ to do anything??? They can use (part) of my funds to hire someone to do nothing else and still make a healthy return! I have used Kraken for 12 months now. Deposit / Withdrawal of funds and response time (inc. assistance with queries), have been excellent. The criticism I have is the uncertainty when placing an order. You are advised to resubmit the order (as it MAY not have been processed) which can result in placing an order twice. For GBP customers there remains an issue with the exchange advising that it was dropping the currency due to volume issues. Getting GBP back to the UK is now more difficult – it would be extremely uneconomic to convert any Cryptocurrency to GBP on the Kraken exchange. Sp far no issues with Kraken. Platform is easy to navigate. A horrible first experience using kraken. Countless errors, timeouts and kick outs from the website, orders to buy and sell impossible to make and if it works, they go wrong, double entries, no stop loss orders available to reduce stress on the systems and to make things worse, now got a locked account and nobody responses to my mails. Have no clue on how to get in contact or to get my money back. Yes, I’ve added a warning on the top of the page about Kraken’s current website timeout issues. Hey cheers for your review and insight on Kraken.com. I’d just like to add that their site has some serious disadvantages as of recent times. Extremely unstable. Putting an order through is like gambling at the casino! Most of the time, the order doesn’t go through and you are asked to refresh to verify. And then of course, you are directed to a page that tells you about error 502. I think they are too incompetent to fix their trading engine. My analysis is that Kraken does not deserve all the traders that they have. Pro traders are gonna go elsewhere soon (if they haven’t already done so). 16th of October 2017 I made payment into Kraken’s corresponding bank and a week later I created a ticket to follow up why my funds havent yet reflected into the Kraken Acc. They replied a day later saying they couldn’t locate my deposit. Another week goes by and they emailed saying it looked like my deposit arrived without the proper referencing to assign it to my account automatically. Ok no problem I thought. The funds have been located and they assured me few days later it will be into my account. Well it’s now 1 November and still nothing. During this time the bitcoin price has risen 1000USD so now because of their incompetence and delay it defetes the purpose of purchasing a bitcoin and I am sure as hell I will not be compensated for their poor service. I understand the frustration, but do please note that 1-day customer service response times is like faster than light speed when it comes to bitcoin exchanges. To give you an example – when issues arise on Coinbase, customers can expect to wait 3-7 days to get a response – and on Cex the average response time from support is 2 to 3 weeks! No joke, but these platforms are literally overrun with new users everyday. They’re coping as well as they can, hats off to Kraken for such a fast response time. These moments are indeed frustrating – I’ve missed so many price-dips for similar reasons to yours. Especially with people saying that it’s best not to keep money stored up on any cryptocurrency exchange. It’s a compromise between planning ahead and risking funds kept online. That’s why it’s always important to find the most trustworthy exchange. During my Kraken review I’ve tried to show that despite its faults, there are indeed many expert traders that trust the operators with good deals of their money. Hi John, it’s annoying I know. Do realize that these exchanges, Kraken included, are being flooded with requests from new and long-time users. There’s just so much activity going on in the crypto world right now. Kraken are experiencing serious UI issues, but I would guess that their integrity remains solid and trustworthy. Agreed, have to see things in context. This is quite interesting. They have a mobile app touted as smooth yet full of bugs and is far from 100% reliable, yet Kraken supposedly has a third of its users coming in thru it? What I’d like to know is how many of the monthly mobile app visitors return. Perhaps, this surge in mobile views is due to the large number of new BTC and crpytocurrency enthusiasts. They’ve already done several funding rounds and raked in $6.5 million. I know it’s difficult to balance low withdrawal/deposit fees with exceptional service, but they do need to improve their customer support and UI (especially those buggy orders that get dropped for no reason) if they want to at least maintain their hold. I think the high number of visitors thru their mobile app is more due to the fact that more and more people are viewing things on their smartphones rather than on their laptops and desktop computers. After all, it’s easy to go to the app store and check out Kraken. According to this Kraken review, the mobile version of the exchange is smooth. Now, they just have to ensure that their app is just as easy to use. Likewise, I have to agree regarding the Kraken disadvantages. I know they have a lot of users to deal with, but bad customer support should be solved as soon as possible. They have a surge in popularity, but this could be wasted if new users are unimpressed with both support and UI after conducting their own Kraken inspection. Then again, this full analysis of Kraken also points out the fact that the exchange has a strong hold on the more experienced and high-level cryptocurrency traders. They have no problems with high volumes of either cryptocurrencies and fiat currencies. Combined with low reasonable fees (for most of the time), I can see how the cons pale in comparison to the Kraken advantages. This exchange is the worst, I tried it for the first time and lost $500 on it right away because this site is either down or would not let you do orders for an hour, it is a nightmare to deal with them, STAY AWAY ! I am surprised there are still people who uses them, after reading bad reviews I thought that it may be work of competition and decided to try it, boy did I learned a lesson, $500 lost for trying KRAKEN ! Kraken is very intuitive and I find the support is also okay – but true, the downtimes are ridiculous. It’s unbearable and not future-compatible. They should invest in a second server maybe ? Indeed, i have head numerous complaints of Kraken going down during peak trading times. Unfortunately such interruptions can causes losses for traders. Good job posting your feedback about Kraken here for others to read. I myself have had issues with the site not letting me do orders for 10 to 15 minutes. Sometimes it is as if Kraken’s system just gets overloaded and cannot handle requests. Let’s not forget that Kraken is the cheapest crypto exchange in terms of fees. The exchange also has some of the best volumes, good margin trading, and extra fast withdraw/deposit times. Compare all that to sites like CEX or Coinbase and it’s easy to understand why people (expert traders) still use Kraken. You sometimes get about 15% better deals on Kraken than, say, on Bitfinex – i had that with BCH – now that is attractive. But the downtimes are so terrible. I can’t see why there’s no attempts at fixing this, obviously 2018 should be a boom year for cryptos. THIS is a great way of making sure Kraken won’t be a part of that when it could be a winner. I like Kraken for their market positioning ????. The operation is located and headquartered in the USA, yet they have targeted both north american and European traders. The BTC/EUR volumes are perfect for me (i buy approx 200 euro per week). And the best part is that I can trade with leverage (margin trading) on Kraken. Not many other places offer such crypto instruments (no I’m not using Poloniex ???? for now as they have slow customer support). Kraken currently does not allow Washington state residents to use their exchange because of stringent state regulations. Thanks for your experience Pippo. We’re seeing many reviews of kraken where users are encountering your reported issue and it’s increasingly taking a toll on the exchange’s reputation. For now, I’ve downgraded their rank and rating on the homepage top list of sites to trade btc and alts. I will be following the situation. Could it be struggling because of front-end scaling issues? I say this because the Kraken API seems to work ok for making orders. Small mistake “Both the buyer and the seller are charged fees, with a buyer in a trade paying more than a seller.” Fees differ for maker/taker not buyer/seller. Nice article! However, recently Kraken has removed some altcoin that used to pair with USD, which is a little bit bad; nevetheless, they had removed conditionals like stop-loss, take-profit, trailing, and so on. Unfortunately due to their decision to remove these essential trade options, many users are leaving Kraken (including myself). Ah nice to hear actual feed back from a Kraken user. It’s true that most exchanges do occasionally have to remove certain altcoins as they loose popularity and volume.